Crush District 3, Sonoma and Marin Counties, harvested 60.3% more tons in 2012 than in 2011, which is 42% above 5-year average yield levels. Average prices increased 4.8% (Table 6) resulting in gross grape revenues of $582,996,346, a 68% increase from 2011. The $100/ton average price increase does not reflect bulk wine production. The average price was $2183/T (Table 6). The above average yields and an average price increase of 4.8% increased grower revenues by nearly $236 million. These increased revenues allowed growers to recover from the low yields in 2010 and 2012. The price increase for Table 10 prices which represent independent grower sales was also 4.8% over 2011, and $39 below Table 6 prices. Table 10 prices are those for grapes sold to unrelated wineries, Table 6 prices include winery grown grapes sold to a related winery. Pinot Noir was the leading variety for revenues in 2012, eclipsing Cabernet Sauvignon by nearly $50 million and eclipsing Chardonnay by nearly $5 million. This is the first time a red grape produced more revenue than Chardonnay since at least 2004. Bulk wine production increased to 5509 tons, up 2350 tons from 2011. 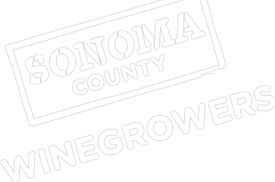 Bulk Wine buyers from other states and California regions are searching the online Grape Marketplace for bulk wine to purchase at https://sonomawinegrape.org/grape-marketplace/bulk-wine-for-sale/. If you have grapes or bulk wine for sale, those should be listed on the Grape Marketplace. Commission advertisements in vineyard and winery trade magazines promote these online listings to grape buyers and winemakers. Growers need to update their information regularly, including removing any listings if contracts have been signed. Growers and grape buyers need to take advantage of the Grape Marketplace tool.